On November 26th at 6:00 P.M., Hope’s Place will be providing a FREE, COMPLETE, Four Course Dinner for all who attend. From appetizer to dessert! This is a free meal that is open to EVERYONE in our church family, Belchertown community and our surrounding areas. There will be only one seating beginning promptly at 6:00. Reservations are necessary, so you need to contact us by November 21st. DON’T MISS OUT; WE ARE LOOKING FORWARD TO WELCOMING YOU AND YOUR FAMILY! Please call the Church Office (323-7584) to reserve your seats. A Praise and Thanksgiving Service will be held in the Sanctuary following the meal at 7:00 PM. 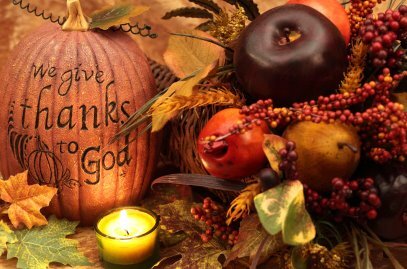 Come give thanks for all the blessings you have received.